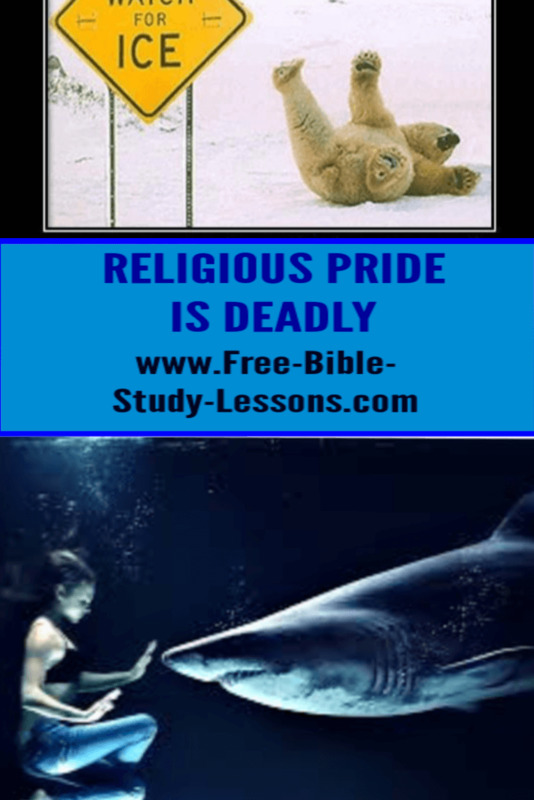 I think religious pride is one of the most effective and deadly of the enemy’s weapons. Its fingers paw at everyone of us from time to time. Those infected with it don’t even know they have it. If fact, they can often do the works of the enemy while believing they are doing the works of God. In verses 23-24 above, Jesus is condemning Capernaum. Capernaum was an important city on the Sea of Galilee, the center of much of the ministry of Jesus in Galilee, and witness to many miracles. How could this “home town” of Jesus [after He was rejected in Nazareth] be worse than the homosexually perverse city of Sodom in the Old Testament which was destroyed in the fiery judgment of God? The answer to that is found in the spirit of religious pride. The truth is, if you will hear it, often “Christian” people are further from God than the world. Shocking, isn’t it? We can say and do the right things, but if it is from a spirit of religious pride rather than a humble walk with God we are as far - or further - from God than the sexually perverse. If we think we are wise, if we think we are masters, if our way is the only way, if we despise those who differ or who struggle, if we do not submit to authority, if we are critical of our brothers and sisters, if we are unwilling to listen, if we think - or have to appear - that we have everything together, then we need to examine our hearts. Pride, especially religious pride, slips in so easily. Many Christian parents have driven their children into the world because of religious pride. How do we avoid this trap? Verse 25 tells us that God hides things from those who think they are wise and reveals them to “babes.” Does being thought of as a “babe” offend you? I hope not. We are all babes in Christ. Yes, we grow and mature, but we never outgrow our dependance on Christ. A babe is one who a] is totally dependent on someone else, and b] is always learning. No matter how long we have been a Christian we will always be dependent on Christ. In fact, the more mature we are the more we realize our dependance on Him...and it doesn’t threaten us. Depending on Christ does not mean we sit around and wait for Him to do it all [that is also immaturity], it means we recognize, as we fight the giants in our land, that either He fights for us or we lose. No room for pride...confidence in God, yes - pride, no. David’s battle with Goliath is the classic example. Study it closely. And we are always learners. There is no graduation from God’s School, no 4-year program for a Master’s Degree. He alone is the Master. We are the disciples. Some disciples have more experience and knowledge than others - and they are to be respected as such - but we are all disciples, learners. If we ever think we are the Master, then we are in trouble. Always be learning. Always have your ears open for wisdom. It can come from some pretty strange places - God even used a donkey - but it must always line up with the Word of God. So to my fellow babes and disciples, I say, never outgrow your dependance on God and your love for His Word. Never give in to religious pride.